Image of an Anadarko drilling rig in the Delaware Basin. Courtesy of World Oil and Anadarko Petroleum Corp. Despite being one of the world’s top energy consumers, the United States has recently become a net exporter of energy. The Permian region in West Texas, an epicenter of the fracking boom, is one of the key drivers of this national trend. With production rates estimated at 4 million barrels per day, the Permian Basin has become America’s fastest growing source of energy. However, the massive upswing in production activities, which have shown no signs of slowing, has caused shortages in the supply of electricity needed to run the massive amount of oil and gas production equipment now occupying the region. Fracking well equipment is largely powered by electricity. 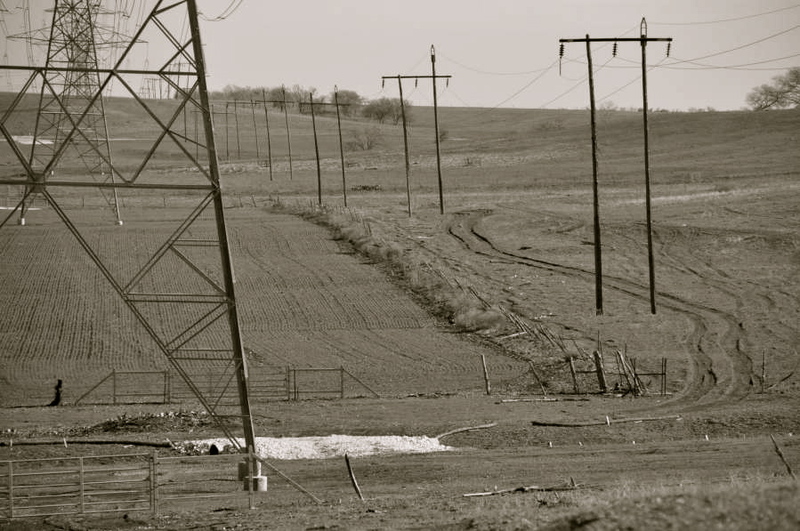 Historically, most of the power required for these wells has been supplied by the West Texas grid. However, the current rate of expansion in fracking operations has massively outstripped the rate at which electrical supply infrastructure can be added in the region. For example, the Delaware basin, one of the largest deposits that make up the Permian Basin, consumed roughly 350 megawatts of power this summer alone. For context, 350 megawatts could power approximately 280,000 homes. This consumption constituted a three-fold increase over the same period in 2015. Experts speculate that the power draw of the Delaware basin could triple once more as soon as 2022. At current rates, it takes 3 to 6 years to construct and bring into operation new electrical infrastructure. With the continuing expansion of fracking operations and the already sizable amount of stress being placed on the electrical infrastructure, it is unlikely that electrical shortages in West Texas will be solved any time soon. This colossal demand for electricity has severely encumbered the existing grid, leading to reliability problems. The grid in West Texas was simply not designed to transport this amount of power. Though it’s currently known for its role in the new fracking economy, the Permian Basin has historically been an oil producing region. Before the advent of fracking, the Permian Basin was one of the most abundant domestic sources of liquid petroleum. As such, electrical supply to the region has long existed on an industrial level. However, key differences in the production requirements of liquid petroleum and hydraulic fracturing provide further insight as to why the old grid, though industrial in scale, is incapable of coping with the new level of demand. As liquid reserves were frequently under pressure, extracting petroleum was often simply a matter of drilling a well. The pressure of the reserve itself would force the oil to the surface. As well pressure declined, pumps were installed to pull the petroleum to the surface. Many of these pumps were of the iconic “nodding donkey” variety. Because the wells for liquid reserves were often vertical in nature, a liquid pump only drew around 40 kilowatts per installation. In contrast, fracking wells have horizontal elements which can extend outwards for several miles. The pumps for these constructions are no longer surface level but take the form of submersibles which can draw 300 kilowatts each. The old grid could not adequately cope with this increase. As such, the grid’s inability to provide the power necessary to sustain current production and realize growth projections, has caused shale producers to explore alternatives such as solar and wind power, as well as on-site natural gas-powered electrical generation. Though experimented with, solar and wind solutions have thus far proved highly cost ineffective as the energy yield from these systems is too limited to comfortably support commercial applications. The most popular approach so far has been to use on-site diesel generators to power major operational equipment such as drilling rigs and fracking pumps. Companies are also experimenting with onsite natural gas power plants, as these installations could be powered by natural gas produced from the wells themselves. At the end of the day, landowners with property near the Basin, or situated along the route for a potential powerline, should seek to understand the economic trends that propel construction projects in order to fully comprehend the massive amount of infrastructure that could be headed their way.